author, writer, blogger and social media guru, will educate existing, aspiring and soon to be published authors and writers about the wealth of electronic media tools available to promote and publish their literary works. For instance, did you know the Fan Page of your FaceBook page could very well become the vehicle for promoting your published works? learn how to eblast, micro-blog and how to be offline and still promote, plus more! NOTE: This workshop is FREE and open to the public. Therefore, space is limited. To reserve your space, please click on the link below. It pays to listen to your PR coach! "Mrs. Perry: I wanted to let you know I'll be a Guest Expert on the Tyra Banks Show! Thanks to you! I'm on your mailing list, so I'm able to take part in all of the teleconferences you promote and I've learned soooo much! 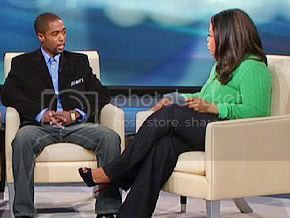 And as a 25-year-old 'mediocre' Author/Motivational Speaker I've been able to tell my story on Oprah and be a Guest Expert on Tyra within a month of one another. When are you going to get moving and "get out there" too? The class is every Tuesday online with me where I personally coach you to success online by creating your brand with social media and offline with the media. If you can't do the class, you can get the "Get Out There" Kit. If you just do the work that's required, you'll get the rewards. It starts with going here to the PR Coach Shop at www.e-junkie.com/pamperry and buying up everything you can get your hands on. Invest in learning what it take. As my coach often says, "Information changes the seasons of you life." My advice works. Just ask Tony Gaskins. You are one click away from awesome. Make it happen. Do something about it today! "When you change what you expect, then you'll change what you get." Here's an invite to build YOUR Brand online! Columbus, OH - The 2010 National Minority Business Directory is being published, and entrepreneurs and small business owners are invited to be listed in it for FREE. The directory will feature thousands of listings from companies and firms owned by African Americans, Hispanic Americans, Asian Americans, Native Americans, and more. Listing is easy. Interested ones simply have to visit the directory's website and complete a brief form. Those who enlist will also receive a free copy of the directory when it is released. The publication will be the largest, most relevant, and most up-to-date compilation of minority-owned companies. Obtaining a FREE listing in the publication is equivalent to about $5,000 in free advertising and exposure. As most of you know we are winding down the build out of our space and gearing up for our opening house party. At the same time we are starting to lay out our class schedule for the first week of October. We have posted a few classes for the first week. We will be working over the next couple of weeks to continue to grow our class offerings for the month of October. You can see all the classes we have to offer on our classes page. I'll be the first to admit I don't know much about how to market children's books, so I am thrilled to have Melissa Williams share her expertise in this guest post. Children's authors are always looking for ways to get their books into the hands of their audience . . . the children! Advocates for literacy hold the key to every door in this business, so naturally school visits are the number one way to reach your young readers and sell children's books. When developing your marketing strategy, don't forget the obvious, your "think outside the box" attitude and always plan ahead. When doing your research, librarians, teachers, and principals should become your best friends. You should be working and collaborating with them before your book even goes to print. To establish your credibility and visibility to market children's books, start by joining organizations and attending literary conferences. Present yourself to teachers and librarians at local and national library conferences by becoming a speaker. If you haven’t heard the name Darren Rowse before then now is the time to listen. He’s a very popular blogger who makes 6-figures a year on his Problogger site and definitely knows his stuff. 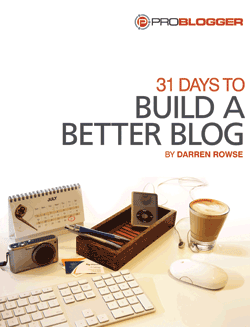 A while back he put together a month long series called “31 Days to Build a Better Blog” and it was such a hit, he decided to turn it into an e-book. This downloadable e-book is designed to help you jump-start your blog by giving you 31 tasks that will turn your blog into the powerhouse you’ve always dreamed of. The great thing about Darren’s e-book is that you can do it at your own pace and in your own way. Set a goal of reading a chapter a day and take notes. I usually dog ear and highlight the important pieces and come back to them later. I was actually in a Borders bookstore the other day and saw a published version on the shelf and couldn’t help but pick it up. I first started thumbing through the chapters but soon realized I was reading it word for word. The book was addicting and I learned some things which I apply to my blogging today. The cost of this e-book is only $19.95 and there’s even a money back guarantee. Darren is one of the best known bloggers in the world. All of his works are top notch and his latest offering is no exception. If you want a better blog, you can have it in the next 31 days. Buy it today and you’ll be able to start reading it in minutes. Trust me, it pays for itself! Maria Schneider left mainstream publishing behind last year to start Editor Unleashed, a site covering writing, publishing and social media. Share tips and advice for startup journalists here. Downsizing, layoffs, newspaper and magazine closings have put journalism on the most endangered careers list. But hundreds of smart journalists are realizing the opportunity and using their connections, reporting savvy and deep knowledge of their subjects to start sites covering their familiar beats. These bootstrapping indie journalists are learning to run their own small business, including tending to many details they never had to worry about before—ad sales, marketing, promotion, tech and design to name a few. Here, five former mainstream media reporters share their tips and best advice for creating a startup journalism site. As publishing house publicity departments spend more time online marketing their authors, publicists and authors need to understand online marketing better and they need to have the proper technological tools to have a conversation with bookclubs, bookstores, media and book buyers online. Authors, publicists and publishing houses need a social media release. What is a social media release? Why does an author need a social media release? to increase your author's visibility in major search engines, book sites and online places where your ideal reader gather with search engine optimization(seo) and keyword links. What makes our SMRPs ideal for authors and publishers? DeeGospel PR specializes in literary public relations and marketing. 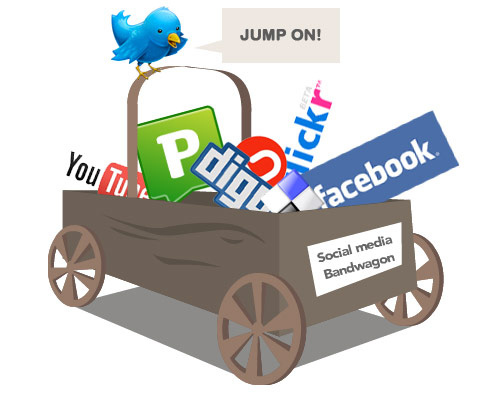 We have a proven success rate in building online awareness of our past clients with our social media release system. We know how to turn over information to book review, lifestyle events editors, book clubs and talk show producers faster than most literary pr firms. In fact, pr firms turn to us for guidance on how to use current online technology to galvanize readers. Also our social media releases are lower than our competitors. Do I need a new Social Media Release every time I have new news? No and that's the beauty of it. Your SMRP will be housed on the DeeGospelPR server. We will revise your news release for free for the first 90 days. After 90 days we will give you the option to move your release to your server. Or you can continue to house your review for $10 a year. How do I obtain an SMPR for my client or myself? Click the Buy Now button below. Once you pay for your service. We will contact you to put the release together. Our turnaround time is 3 to 5 business days. Email me at deegospelpr at gmail dot com to work out a payment arrangement. I do understand. Can I see an SMPR before I purchase? Sure. All of our SMPRs are crafted to fit the author brand. Contact me and I will send you a snapshot of one. If you talk to any author, they will tell you that writing their book was the easy part - compared to marketing it and getting folks to buy it! You can go to any bookstore and get a book on how to publish your book or do a Google search on book publishing. (I recommend Dan Poynter's Self-Publishing Manual - he's been called the guru of self-publishing). You can even get a good editor to help you with your rough manuscript. If you really don't want to do that much work and want to get your book out fast, you can go to "iuniverse" or "lulu" and have books produced as you needed. This is called Print-On-Demand (POD) - great for first time authors; they take your word document and turn it into a book. FedExKinkos is even in the book producing game. The production of a book is now pretty common. That's why we see so many people doing books. But are the books selling? After the books are back from the printer/publisher - the real work begins. It's time to promote and sell your book. You have just opened up a business. Like any new business, you need a business plan plus extensive knowledge of the field you're in and good advisors. A standard statistic you need to know according to book industry sources: there are over 150,000 new books published every year. And typically we see the same roster of authors on the New York Times Best-Seller's list. 1. Title - is it griping, interesting? Would one know what it's about without reading anything else? 2. Cover- people do judge a book by its cover. Make sure it has enough punch to stand out on the shelves among the thousands of other books. Is it clean, neat and crisp - yet interesting? Hire a professional! 3. Endorsements - what others say about you is key. Who these people are is even more important. Pull together the "best words from the best people." It will pre-sell your book before you even open your mouth. 4. Writer's credentials - do you have anything else with your byline? Do you blog? Do you have an audience that actually likes what you write? 5. Knowledge of the Market the book will reach - and the author's reputation in that market. The author must create a market for himself by really addressing the needs of that market, knowing that market and communicating the right message to that market. 6. Timing - in relation to other events going on in the world/society. Are there movies, songs or talk shows that are bringing up the subject you have discussed in your book? Do you read the newspaper regularly and respond with Opinion Editorials when they are discussing "your" platform/topic? 7. Advertising - targeting the right message to the right media at the right time. Consistently! 8. Media coverage - publicity. The frosting on the cake. Getting on radio, TV and in newspapers and magazine and Ezines. Consistently (with advertising too). 9. Distribution - If you want to be a best-seller you have to have your book available. Make sure you sign up with a distributor or wholesaler so it is accessible to bookstores. (Amazon is not national distribution...it is a website) Best-sellers are sold in real bookstores and they only order from distributors or wholesales. (See Sally Stuart's Christian Writers Market Guide for distributors to approach. Note: You must have a press kit and solid marketing plan for them to consider you). 10. Word of Mouth - The best advertising. The more "buzz" you have about your book the better. How do you get people talking about your book? By engaging in their culture and creating messages in their media. Be relentless in your goal to be a "best-seller" - and it will happen if you commit to the publicity process and pray for favor. Ministry marketing pioneer and PR Coach Pam Perry helps African American Christian authors garner publicity and leverage online strategies. As a 20-year PR veteran, she is also the co-author of "Synergy Energy: How to Use the Power of Partnerships to Market Your Book, Grow Your Business and Brand Your Ministry." For a free MP3 of "What Every Author Should Know," go to http://www.PamPerryPR.com/ She's also the creator of the ChocolatePagesNetwork, a social network for Christian authors and the Chocolate Pages Show at Blog talkradio. 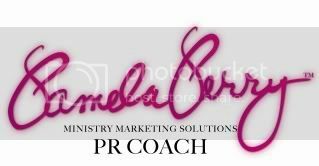 She offers free help at her blogsite: http://www.MinistryMarketingSolutions.com/ with her monthly Ezine and teleclasses. Recent Detroit Free Press headline quotes Detroit Mayor Dave Bing: "Change...or Get Left Behind"
The "new" economy is online - learn how to work it! Detroit, Mich. (September 2009) --- In this challenging economy, people have noticed the world is quickly changing from the industrial to the technical industry. This means people are moving from manufacturing work, which was popular throughout 1990's, to the ever-growing world of the internet. Why? Because the internet is the largest market place in the world, with billions of buyers and sellers all coming together to exchange goods and services for cold-hard cash. And, if you're not capitalizing on the internet...you will be left behind! People are earning from hundred to thousands of dollars a month via the web - using automated systems. "The money is NOT automatic, but if your system is automated - the money will come. It takes time to get there but once the you know what you're doing online and your systems are in place it can happen," said Detroiter Ralph Claxton, who is the founder of Tech Club CPR (www.techclubcpr.com), an internet coaching and training organization located online. Claxton's Michigan partner, Pam Perry, of Farmington, is the chief visionary of Ministry Marketing Solutions, Inc. She is a publicist turned social media marketing expert. The two met online early this year via a mutual twitter friend and have been tweeting, blogging and podcasting ever since. Claxton and Perry spent thousands of dollars on internet training over the past few years. They each clunked down almost $20,000 in live seminars, online courses, books, teleseminars, e-courses, home study courses and personal coaching from the "masters" of internet marketing. Now, the two internet marketing mavens have come together to help other entrepreneurs and authors make money online - without spending an arm and leg. On Saturday, October 17 from 10 am-4pm (Sweetest Day in Michigan), The Tech Club CPR will host a sweet deal for those who are serious about making money online leveraging social media. Authors, entrepreneurs or those just looking for an additional revenue stream can come to the "boot camp" at the Courtyard Livonia, 17200 N Laurel Park Drive in Livonia, Michigan near Laurel Park Mall. "Because we get calls all the time from people who want to learn how we do what we do, we wanted to share our resources, experiences and give them an up-close and personal event to show what we do behind the scenes. Our mission is to help people crack the internet code," said Perry. The Tech CPR Boot Campis basic training for people who are comfortable with the internet but find it hard to really leverage it to make money online, brand themselves and keep up with all the new social media tools. "If you can log on, browse, click, drag and drop online, we can help you get to the next level," said Claxton. Claxton and Perry will provide hands-on internet training so that everyone will leave with knowledge of how to play the game of Social Networking. · How to master every technique needed to become an advanced internet marketing money-making machine. · All the tricks, tips, and secret techniques used to easily navigate the internet like a pro. · How to use Social Networking to earn a hefty income with popular sites such as Twitter and Facebook. · How to build a stable online business just by following along with a few video tutorials. This Boot Camp is different from others because people will get personal attention that will cater to those from beginner to the advanced level. "Without all the techno-speak," added Perry. "All the other courses were too techy and made me feel intimidated. We won't do. I personally want to help people avoid costly mistakes I made when attending over-priced seminars that left me with more questions than answers. Me and Ralph want everyone to leave our boot camp ready to go get paid without having had to pay an arm and a leg." Added Claxton, "the last event we did in Farmington Hills, people walked away feeling empowered. They had their 'aha' moments - and we still get tons of testimonials," said Claxton. 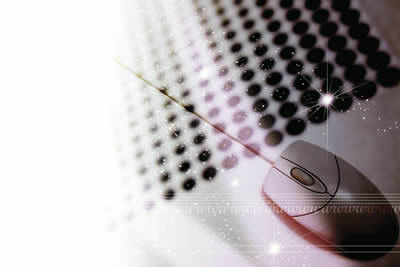 To see the videos of some of the testimonials and more details, go to: www.TechClubCPR.com. For more information on early bird registration for the boot camp event on Sat, Oct. 17, go to Tech Club CPR website or contact Pam Perry via info(at)ministrymarketingsolutions.com. writing romantic suspense for a while now. Fall Suspense Thing Writing Workshop is now accepting students!!! November 3: The devil in the details--making suspense believable. want to get the most from the class. you will be added to the group. This excellent story draws the reader in with a bang. Selling books to non-bookstore buyers is not difficult if you know how to do it and organize your presentation effectively. In this webinar you will discover a step-by-step system to find the names of people to contact and prepare for the sales call. We will cover simple ways to find out your prospect's reason's to buy. Then we'll show you how to organize your proposal. This webinar is designed for the author or publisher that wants to sell directly to prospective buyers. Once you know your buyers' criteria and have prepared your proposal (as described in Part One), it is time to present it to your prospects. There are a variety of ways to do that effectively and in a non-threatening manner. Rarely will they accept your initial recommendation, so you must negotiate the final terms and then confirm the order. There is still more to do in your post-sale follow up, and this webinar will provide you with all the basics to create a long-term relationship with recurring revenue to you. BOOK INTRO: YOU'RE PUBLISHED - Now What? Would You Moonlight for Technorati?